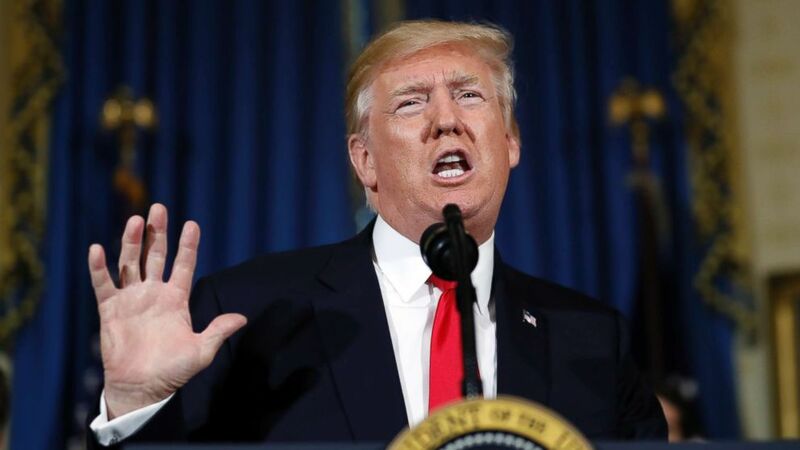 United States President Donald Trump on Monday declared North Korea a state sponsor of terrorism, returning Kim Jong-Un’s nuclear-armed pariah regime to a short blacklist of targeted US foes. “Should have happened a long time ago. Should have happened years ago,” Trump declared, announcing the designation at the start of a White House cabinet meeting. North Korea is already under a wide array of United States and United Nations sanctions, and the terror designation will not have much immediate economic impact in itself. But US officials see the designation — lifted by then-president George W. Bush in 2008 — as a way of ratcheting up the pressure on Pyongyang and especially on other states that may be failing to fully enforce the sanctions already in place. “In addition to threatening the world by nuclear devastation, North Korea repeatedly supported acts of international terrorism including assassinations on foreign soil,” Trump said. “As we take this action today, our thoughts turn to Otto Warmbier and others affected by North Korean oppression,” Trump continued, underlining the legal case for the designation. US student Warmbier died this year aged only 22 after he was repatriated from detention in North Korea already in a coma. US officials allege he was tortured in custody. “The Treasury Department will be announcing an additional sanction — and a large one — on North Korea,” he said. “This will be going on over the next two weeks and it will be the highest level of sanctions,” he warned. Kim’s government insists it will defy international sanctions to develop a capability it believes is essential to defending itself from the threat of US and South Korean invasion.